If you are looking to add a new addition to your home or apartment, the best way to go is to get a dog. If my blog has not made it clear enough, dogs are the best companions in the world. Not only do they foster unconditional love for anyone, they can be protective, fun, comforting, or anywhere in between. You can get any kind of dog that matches their your personality because all dog breeds are so different and unique. 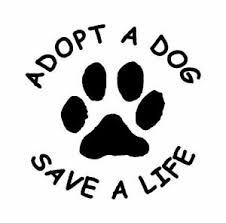 With this, while there are many different places to get dogs, the best option is to save the life of a dog by rescuing them from a shelter. First, it is important to explain what exactly an animal shelter is. While not all animal shelters are the same, animals still end up in these shelters all the same. Basically, most animal shelters take in just about every type of domesticated animal, ranging from birds to rabbits to horses. However, the most common types of animals that are taken in by shelters are dogs and cats. While most animals that are taken in by shelters are found on the street, some people bring in their own pets to the shelters because they can no longer take care of them. In many movies, like Hotel for Dog, 101 Dalmations, and Oliver and Company, they show the dog pound and as scary and an abusive place for animals. Today, many rescues are trying to reverse this stigma and use different, far gentler words to describe these “dog catchers” and “pounds.” For example, instead of “dog catchers,” the name was changed to “animal control officers.” These officers then find stray or “homeless” dogs and take them to rescue shelters. At the shelters, the dogs are not abused, but taken care of until they can be adopted by a new family. This change of wording shows how society is changing and adopting more positive attitudes about animal welfare and protecting animals. So if the rescue shelters take care of these animals, why is there such a necessity for people to adopt them? Yes, it would be great if shelters could just keep any animal for as long as they could until they were adopted, but that is not the case. Unfortunately, shelters do not have enough room and provisions to take care of all the animals that they take in. With this, more than half of the dogs and cats that are taken into shelters are put to sleep or euthanized because they are too sick, too old, or are unable to be adopted. 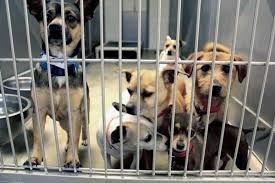 There is no law or rule on how long shelters can keep animals in their shelter so each shelter has their own individual rules. The Humane Society recommends that shelters hold strays for at least five days before putting them down but it can vary based on the space that the shelter has as well as the individual health and actual adoptability of a specific animal. 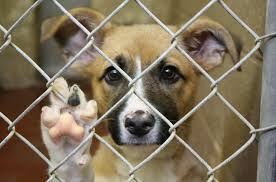 About 6.5 million animals are put into shelters nationwide every year. Of this 6.5, about 3.3 million are dogs and 3.2 million are cats. Each year, about 1.5 million shelter animals are euthanized. About 670,000 dogs and 860,000 cats are part of that 1.5 million. About 3.2 million animals from a shelter are adopted each year. About 710,000 animals are returned to their owners after being in a shelter. If you would like to learn more about these statistics, you can learn more at the ASPCA website. 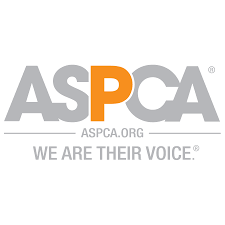 The ASPCA or the American Society for the Prevention of Cruelty to Animals (ASPCA) was the first humane society established in North America and it is also one of the largest humane societies in the world. The organization was founded on the belief that all animals deserve and are entitled to respectful treatment at the hands of humans. With this, the organization believes that animals should be protected under the law. The mission of the ASPCA is “to provide effective means for the prevention of cruelty to animals throughout the United States.” The ASPCA works with shelters, pet owners, political leaders, and entire communities to spread their mission and help all animals. You are literally saving a life. By adopting an animal, you will save them from the possibility of being euthanized. You can still get a terrific pet if you get an animal from a shelter instead of a breeder. Most animals are so happy to finally have a home again and others can already be housetrained or used to living with families already. It will cost less than buying a dog from a breeder. 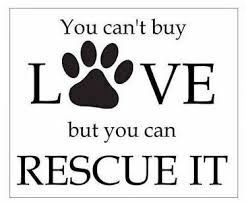 You will help more than one animal by adopting. By adopting an animal, it makes room for other animals and lowers the chance of another animal being euthanized. You will change an animal’s whole world. You will give an animal a second chance at a happy and healthy life. I cannot say it enough, adopting is so much more beneficial for animals. If you would like to learn more about rescuing an animal from your area, click here. If you would like to donate money to the ASPCA, click here.